Adidas Shops in Kenya: Locations and Contacts. Home Shopping Adidas Shops in Kenya: Locations and Contacts. Here is a list of Adidas shops in Kenya. I have labored to bring you the best of you are looking to buy any Adidas products in Kenya. Adidas has its roots in Germany but as I said earlier, they are a global company. They have over 57000 employees around the world. And at their headquarters in Herzogenaurach, Germany, commonly referred to as the World of Sports’, they have employees from over 100 nationalities. Every year they produce over 900 million sports and sports lifestyle products with independent manufacturing partners worldwide. In 2017 alone Adidas generated sales of € 21.218 billion. These figures alone suggest that Adidas is a large and reputable company. That why is you looking for Adidas shops in Kenya, I understand why. You want to buy quality products. In this guide, I am going to suggest to you shops you can buy Adidas products from. Some of these shops are online shops (E-Commerce stores) while others are traditional shops within specific locations. You find an Adidas Shop at the Sarit Center. Sarit centre is located in the Westlands suburb of Nairobi, along Waiyaki Way. This shop stocks almost all Adidas products with focus on shoes. You will find this shop at the Deacons retail store. Location: Deacons Kenya Limited , Sarit Centre, Nairobi . Deacons Kenya Limited, has another shop at The Hub Karen. The shop is located on the upper ground floor. Sun & Public holidays 1030 – 1930hrs. This is another shop run by Deacons Kenya Limited and was opened in 2017. If you are in the coastal city of Mombasa, you can buy Adidas products here. Nairobi sports house is a well known retail shop in Nairobi and within the country. The company deals in the goods, equipment and apparels of reputable international brands in all fields of sporting activity such as Football, Cricket, Volleyball, Tennis, Badminton, Table Tennis, Dart, Fishing etc. and has agency or exclusive distribution rights for East Africa for international brands. At Nairobi sports house, you can buy genuine Adidas items. And the beauty of it all is that they have branches in several places. 6. Garden City Mall, Thika Road. 10. Mombasa Branch, Faza Street. 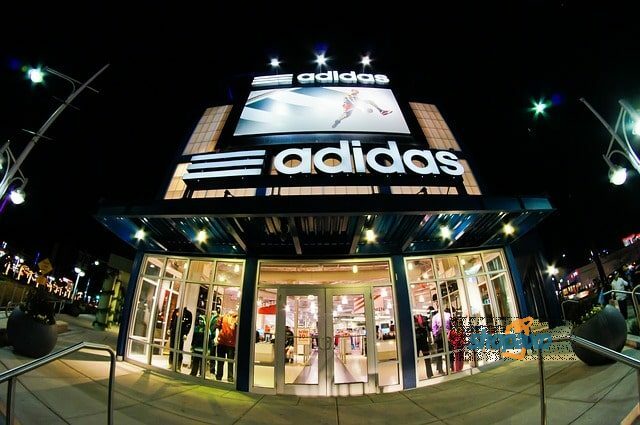 Two rivers mall is the one of the latest places to have an Adidas shop in Nairobi. The shop is run and managed by Deacons Kenya Limited. If you are near Two rivers mall, you can buy Adidas products form the Deacons shop. If you trust online shopping malls, commonly referred to E-Commerce websites, then you can also buy Adidas products there. Jumia Kenya had a page that is dedicated to selling products online. It is one of the few online Adidas shops in Kenya. If you are have an account on Jumia, you can buy by following this link. If you do not have an account, please read this guide on how to open an account on Jumia and begin shopping. Adidas is a brand that anyone would go for. Knowing where to buy your favorite sport gear is not only convenient but also time saving. If you know anyone looking for an Adidas shop in Kenya near him or her, you can share this article with them. Previous articleSpices shops in Kenya: Location and Links.